Apple is now deploying its new screen protector program to Apple Stores across the United States and other countries from today. The introduction of the program was first reported by 9to5Mac and rolled out to Japanese Apple Stores last week. 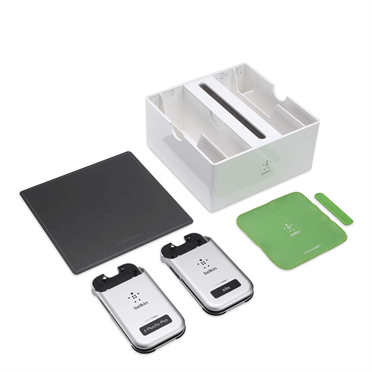 The program allows customers to get a Belkin screen protector carefully applied to their iPhone in store. At Apple Stores across America, customers can purchase a Belkin screen protector and have it applied in store by an Apple Store employee. The program supports only Apple’s latest iPhone models in both 4.7 and 5.5 inch variants: the iPhone 6, iPhone 6 Plus, iPhone 6s and iPhone 6s Plus. Air bubble problems are common with third-party screen protectors, as they have to be applied naively by hand. For the official experience, Apple employees will use a cloth to remove any dust from the iPhone before applying the protector with the mechanical system. As a guarantee, after application, unsatisfied customers can ask the Apple employee to repeat the process with a new cover to get the fit just right. The service is free with the purchase of the appropriate Belkin screen protector for your iPhone. As always, if you can’t get to an Apple Store, you can always buy a screen protector online and apply it yourself. However, the screen protector service offered by Apple gives peace of mind that the protector will be applied as perfectly as possible with no visible air gaps. It’s a big change for Apple, as just a few years ago Apple would refuse to sell screen protectors on store shelves. Now, customers can visit Apple Stores and get official Apple employees to add a screen protector to their phone. Here’s a video from Belkin demonstrating the Screencare+ Application System, used in the retail stores. Find more information about the service at Belkin’s website.